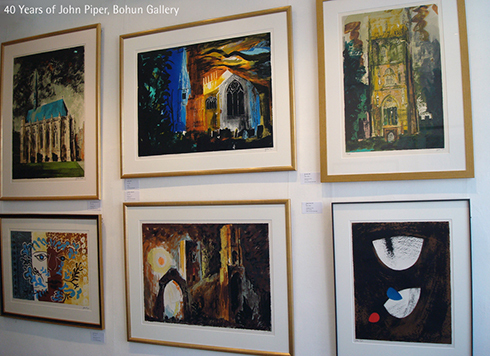 Bohun Gallery in Henley-on-Thames specialises in contemporary British fine art. Work shown includes paintings, sculpture, watercolours, drawings, original prints, and ceramics. Artists represented range from the young and promising to recognised and respected figures such as John Piper, Elisabeth Frink, Donald Hamilton Fraser, Mary Fedden and Eric Rimmington. The Gallery also represents the estate of Julian Trevelyan. 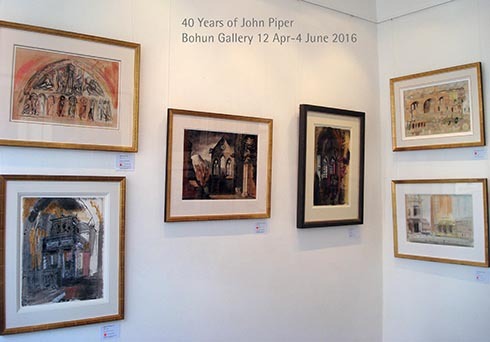 Bohun Gallery holds a lively and varied exhibition programme with up to nine feature exhibitions every year, plus an annual show of sculpture in the garden. Since it was established in 1973, the Bohun has become known for its friendly, welcoming and personal service. The Bohun Gallery is thrilled to celebrate the achievement of Jennifer McRae, who has won the Lynn Painter- Stainers Prize. Jennifer received first prize over the 1,191 entries and 81 short listed artists who 'represent the highest level of entries in the prize's 14-year history'. Jennifer McRae was awarded the prestigious first prize for her beautiful oil on linen portrait 'Past Present and Future: Tracing the female line', the work depicts three generations of the artist's family; her daughter, granddaughter, and herself. The judges described Jennifer's work: 'a beautifully rendered self-portrait showing the artist at work. It demonstrated great sensitivity and created a sense of intrigue about the figures'. The Lynn Painter-Stainers Prize was established in 2005 to encourage the very best creative representational painting and to promote the skill of draughtsmanship. It has come to be regarded as one of the most prestigious awards available in the UK.